We're not afraid to admit it: we were wrong. At the weekend, we branded the Galaxy S9 with 4GB of data, unlimited texts and unlimited calls for £23 a month would be the best Black Friday deal available on the handset. Given the Galaxy S9 launched just eight short months ago, we genuinely believed this deal couldn't be beaten. But we make no apologies for letting you know that Mobiles.co.uk has decided to discount an extra fiver off its seismic Galaxy S9 deal. Simply enter the discount code TECHBF5 and the upfront spend will drop from £69.99 to an all-time new low £64.99. The best Black Friday deal on the Galaxy S9 gets even better thanks to this awesome voucher code. Mobiles.co.uk has dropped the upfront cost on this stellar Galaxy S9 contract to £64.99 – the lowest ever – with the discount code TECHBF5. Total cost over 24 months is just shy of £617 for the flagship Galaxy S handset. Bargain. That brings the total two-year cost of the Samsung Galaxy S9 under £617 for the first time with such a generous helping of 4G mobile data. For comparison, the handset alone set you back £739 SIM-free when bought directly from Samsung following its worldwide launch back in March. Admittedly, Samsung recently dropped the cost of its SIM-free to £599 as part of its own Black Friday sales. That's a sizeable discount, but really only highlights just how good the Mobiles.co.uk offer is, given that it includes two years' worth of minutes, text messages, and 4G mobile data for £15 more over the course of the contract. The sheer amount of savings on offer in this Black Friday deal singlehandedly dispel the myth that it is always cheaper to buy your handset SIM-free and then negotiate a SIM-only deal with your favourite mobile network. The Mobiles.co.uk deal runs on the Vodafone network, so Galaxy S9 owners will benefit from Vodafone Global roaming, which allows phone owners to take your allowance of minutes, text messages and mobile data in 110 destinations worldwide, including Spain, France, United States, Canada, Australia, and more. 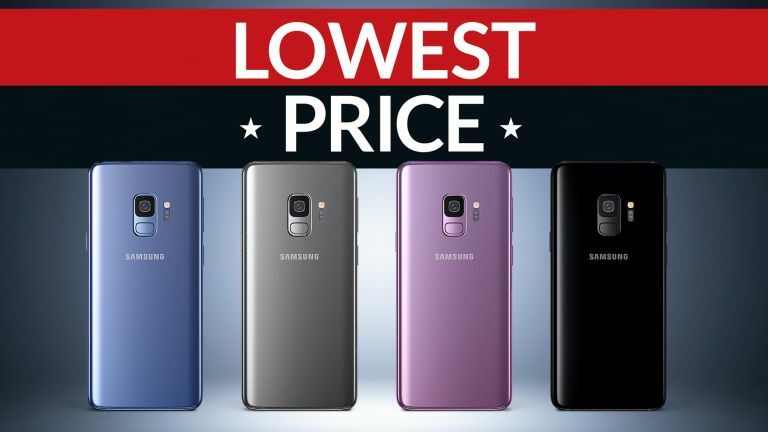 Samsung Galaxy S9 is available in all four colour finishes – Coral Blue, Lilac Purple, Titanium Grey, and Midnight Black – from Mobiles.co.uk on this stellar plan. If you don't mind coughing up for a slightly pricier upfront cost, EE has an unmissable deal that works out cheaper over the course of the 24-month contract. Mobiles.co.uk is offering the Galaxy S9 with unlimited text messages, unlimited minutes, and 4GB of 4G data for £19 a month. We'd usually associate that monthly cost with a much older handset, or a much lesser phone. The 24-month contract runs on EE's network, so you'll benefit from the fastest network speeds in the UK. The usual upfront spend on a monthly contract of this calibre would be £199, but T3 readers can use our exclusive discount code TECH49 to knock £49 off that cost. That brings the upfront cost down to £150 – and the total two year cost to £606. Unfortunately, there's a very slight catch. Mobiles.co.uk has warned us that there's only a limited number of these deals. So, you're going to have to be quick and nimble in order to claim the bargain contract.